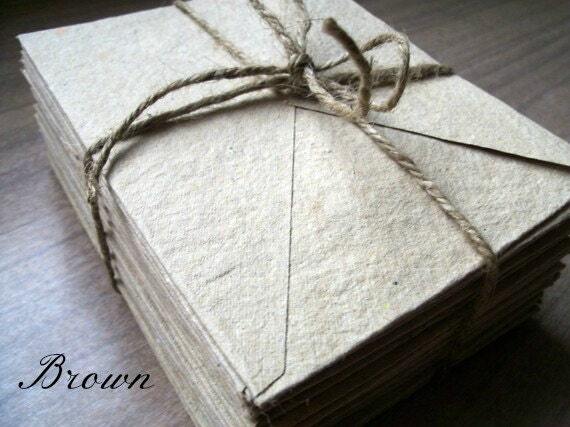 This listing is for 10 envelopes, measuring 4x5 inches made from recycled, eco friendly, handmade paper. This listing is for envelopes only. 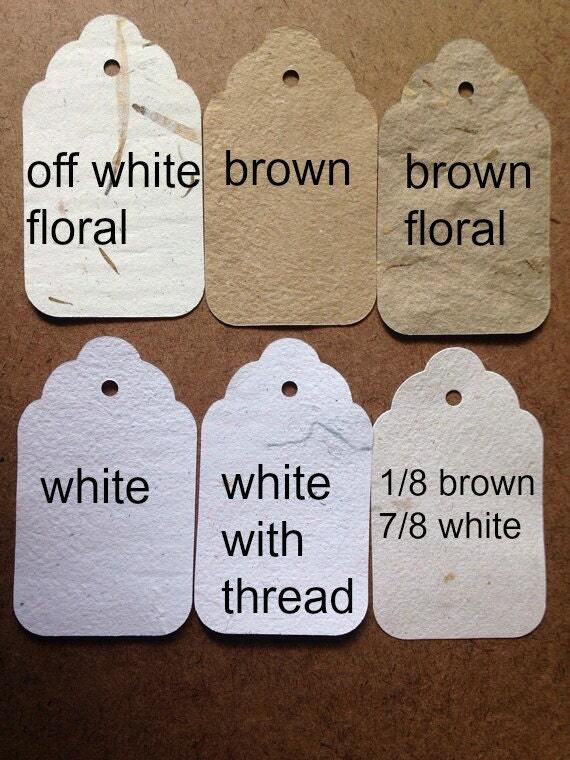 Paper can be found in separate listings in my shop. 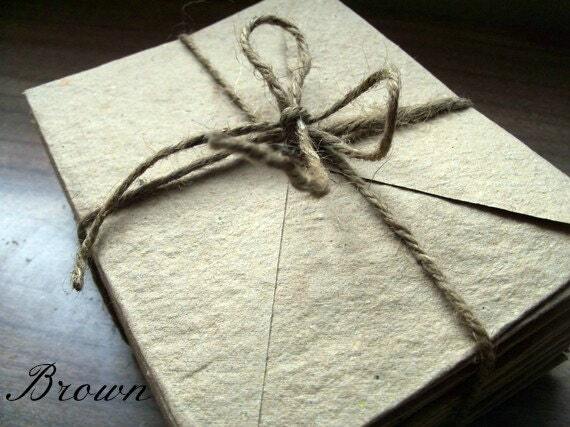 If you want more than 10 envelopes, just order multiple quantities of this listing. For orders of more than 40 envelopes, please allow 1-4 weeks for processing (1 week for 60 envelopes, 4 weeks for 100 envelopes). 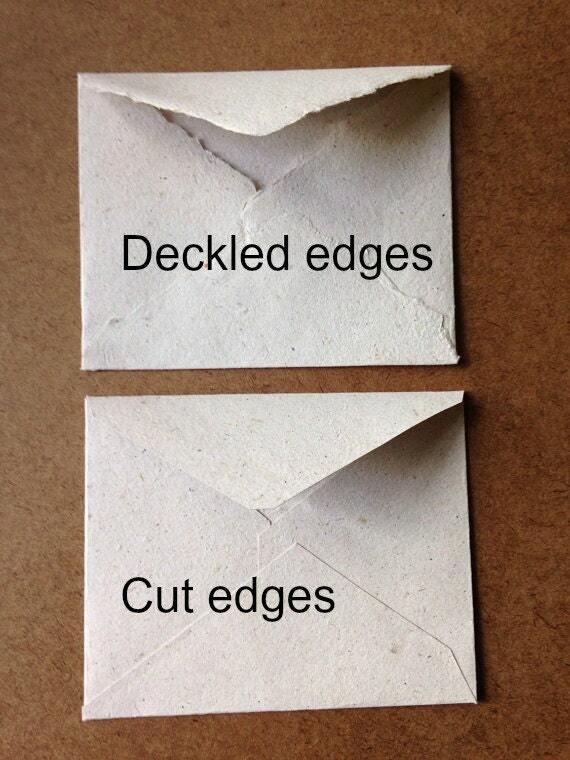 These envelopes come with a strip of envelope glue on the flap. To seal the envelope, just dampen the strip of glue until it is tacky to the touch and press to seal (if possible, leave under heavy books for half an hour or so). 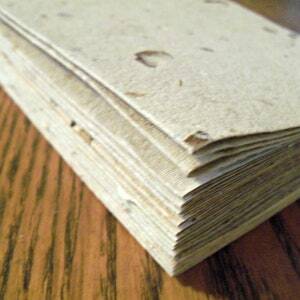 I recommend using a sponge, as the glue is not particularly tasty. If you intend to put these envelopes through the postal system, it is recommended that you write the address on in a marker-style pen (such as a felt tipped pen or Sharpie) and that you hand cancel the envelopes so they don't have to go through the abrasive sorting machines. Ask the clerk at your local post office how to hand cancel the envelopes. 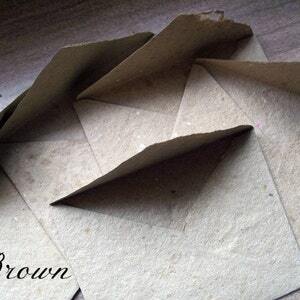 If you intend to put these envelopes through the mail system, I recommend using a felt tip or variety pen, as opposed to a ball point or gel pen, as the ink from gel or ball point pen does not soak in as well and can be rubbed off the paper as it gets abraded during the mailing process. 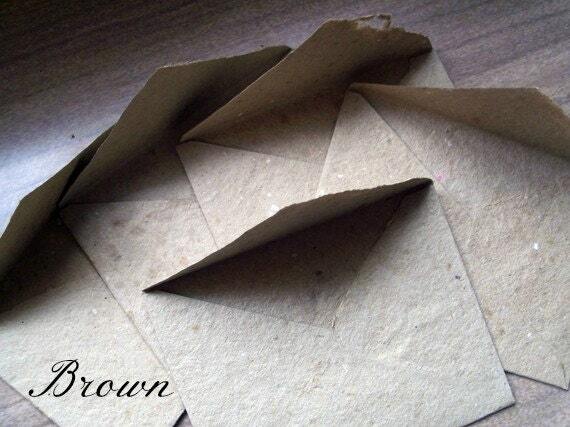 Each of these envelopes is made from my recycled handmade paper and are assembled by hand. 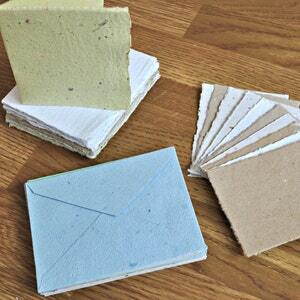 Each envelope is slightly larger than 4 x 5 inches, a perfect size for notes, cards, letters, or small photos. 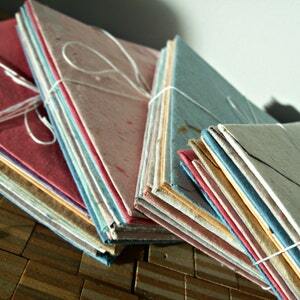 Seal them with a kiss, wax seal, glue, a pressed flower or just one petal, stickers, stamps, or just about anything else you can think of to add a warm touch to your notes and cards!